I am feeling a little under the weather today, so today’s post is an oldie but goodie. This was originally published in Houston Woman Magazine in 2007. 5AM Boot Camp – Call it what you’d like…my morning starts with what I dub as my “Hour of Accountability”. Boot camp awakens my body while most of Houston sleeps and mentally prepares me for the day ahead. Sometimes that day can be 16 hours long so I spend 60 minutes focusing on exercise. It’s fantastic! My Daily Grind – Caffeine keeps me moving. I’ve been told I’ve got plenty of energy without needing coffee. However, I cannot cope with 6 hours of teleconferences overseas without my usual Starbucks Double Tall Cinnamon Dolce Non Fat Latte. And if I’m splurging because I did an extra lap at Boot Camp, I get a dab of whipped cream. My Passport – I’ve been to 13 countries in the past 24 months and learned this world is much bigger than I thought. My passport has enabled me to realize and understand the value of diversity, inclusiveness, and respect for others. Travel and exposure to other cultures has enriched and encouraged me to become a better leader and person. It’s also opened my network of opportunities and influence. Good Reading – Good books feed my brain with knowledge about others and myself as I have a real passion around self-improvement, change, and relationships. Globetrotting affords me some extended periods of time of “sitting”. Long haul flights to Europe and the Far East get lonely without my dose of Alan and Barbara Pease, Dr. Phil and Ghandi. Community Service – I truly believe our life is about giving and “paying it forward”. At the end of the day, I’m not happy unless I’ve been able to give my time or talents to a worthy cause. I volunteer with a variety of local and global charities including Bardoli Global, Women’s Energy Network, The Junior League of Houston, Zeta Tau Alpha and the Susan G. Komen Breast Cancer Foundation. Weekly Massage – I just started to incorporate a massage into my schedule each week earlier this year after spending a lot of time on the road. It’s a nice way to relax and think about nothing for an entire hour. The price tag: $40 plus gratuity. It’s well worth it! 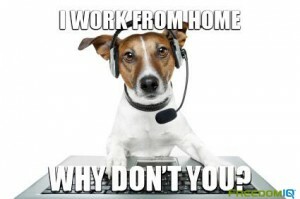 9-80 Fridays & Telecommuting – My global role enables me to work anywhere in the world at any time (and in my pajamas if I want). The idea is to work 9 hours a day and take every other Friday off. 9-80 Fridays are great for catching up on personal errands, email, phone calls, doctor’s appointments, and everything else on the never-ending to-do list. 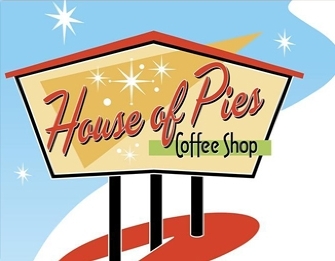 Breakfast at the “HOP” – Every weekend, my better half, Mark and I visit our local House of Pies for a good breakfast before our weekend chores or bike rides during MS150 season. I treat myself to a small cup of Southern Cheese Grits, a coffee and hot chocolate while catching up on the business section of The Chronicle or reading the latest issue of Houston Woman’s Magazine. Role Models – My professional coach keeps me focused, motivated and balanced. She’s been a loyal mentor and sounding board who’s given me a road map at every turn in my career. Mark, my parents, siblings, closest friends and colleagues have all provided me with instrumental tools to navigate life as a woman looking to make a difference in my personal life, career and community. Feedback – Feedback is a gift. It keeps me learning, and stretching to become the very best I can be for me and for others. I’ve learned that life is about knowing who you are, testing who you can become and taking risks to get there. I learned early lessons the hard way. I stumbled, scraped my knees, made mistakes, but survived. Ghandi says “Become the Change You Want to See”. Feedback is a key tool in my life that will continue to enable this change and journey.